New Pilots – Many of your typical trainer aircraft receive preferred rates. These aircraft are vast in numbers, have easy access to parts, and are sturdy enough to handle consistent hard landings from a student pilot. The Cessna 150 series is a staple for beginning aviators. These 2-seat aircraft are cheaper to rent and even easier to insure. The Cessna 150 is a budget friendly choice for any pilot when comparing their hull value and annual insurance rates. A lot roomier than its little brother the Cessna 150, the Cessna 172 is a 4-seat reliable trainer and personal plane. For older model Cessnas it is quite easy to obtain Cessna aircraft insurance for under $1,000 annually. 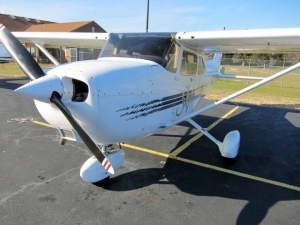 For over 60 years the Cessna 182 Skylane has been a top choice for aircraft owners. Featuring a 230-horsepower engine the Cessna 182 provides everything pilots love about the Cessna 172 with a bit more bark. Where Cessna has their 150s and 172s, Piper Aircraft created the PA28 series. Cherokee, Warrior and Archer insurance rates have remained low and prove to be an affordable aircraft to insure. Essentially a six-seat version of a PA28, underwriters usually prefer to see an instrument rating and more time for this aircraft. However, even without an instrument rating Piper Cherokee Sixes have quite competitive insurance rates. Advanced Pilots – Pilots with a bit more time in their logbook and an instrument rating out of their way may be looking for a more cross-country-friendly, all weather aircraft. 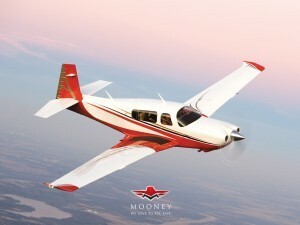 The popular Mooney M20 aircraft series was developed in the 1950’s. This fast, affordable, 4-seat, retractable gear aircraft is a must-have among pilots making frequent long trips. Beech Bonanza insurance is a frequent request. Ranging from 4 to 6 seats the single engine Bonanza has been made in many varieties but maintains its place as one of the best-selling aircraft for pilots looking for a little bit more. The Piper Arrow is a retractable gear version of the PA28 series and frequently found as a commercial pilot trainer. While insurance rates are commonly higher on retractable gear aircraft when compared to fixed gear, pilots find Piper Arrow insurance premiums to be very reasonable. This one may shock most people, as Cirrus got a bad rap insurance-wise for quite some time. While they remain high value aircraft, competition in the industry and improved training programs have brought Cirrus insurance rates down. Aircraft insurance is not one size fits all. Many pilots purchase a more advanced aircraft as student pilots versus going through the transition period. A low time or student pilot often can obtain insurance for advanced aircraft; it just may be at a higher rate with specific training stipulations. The list leaves out many popular certified aircraft such as the retractable gear Skylane, the Cessna Cardinal, the Piper Lance and does not begin to cover the many varieties of homebuilt aircraft! This is a general list of the most common planes that result in a quick and competitive aircraft insurance quotation. The key is to purchase your aircraft insurance from a pilot and aviation insurance agent you trust like those at Aviation Insurance Resources (AIR). No matter the make and model of aircraft to be insured, AIR shops all the major aviation insurance markets to obtain the best rates with the broadest coverage available. Call 877-247-7767 or request a quote online to obtain an aircraft insurance quote from AIR today! This entry was posted on Tuesday, March 20th, 2018 at 1:26 pm	and is filed under AIR-Pros News. You can follow any responses to this entry through the RSS 2.0 feed. Both comments and pings are currently closed.